This week, three of the four leading central banks provided guidance on monetary policy. There is great interest in how these major central banks will transition their respective monetary policy programmes towards normalisation (moving away from emergency settings towards raising interest rates and the scaling back of expanded central bank balance sheets). We have selected some data points in the table below which form the backdrop to their speeches. The economies of the UK, Europe and Japan continue to lag the US which is now actively pursuing policy normalisation. In the US, the Federal Reserve bank (Fed) is raising the Fed funds target interest rate and no longer reinvesting the proceeds of maturing bonds; which is part and parcel of reducing the size of its balance sheet. Source: Trading Economics / Ministry of Health, Labour and Welfare, Japan. President of the European Central Bank (ECB), Mario Draghi, called for patience, persistence and prudence as he delivered his speech on monetary policy. In January, the ECB reduced the rate of its Quantitative Easing (QE) bond repurchasing programme from a rate of €60bn-a-month to €30bn-a-month for an initial nine-month period. This ‘tapering’ involves slowing the rate of purchasing bonds to help fend off the threat of Eurozone inflation. The economy is expected to remain sensitive to unexpected policy changes. Therefore, Draghi reiterated that future policy adjustments would “remain predictable and proceed at a measured pace” but will need “further evidence that inflation dynamics are moving in the right direction”. Despite the lender’s continued lax monetary policy, inflation at 1.4% is well below the central bank’s own target of just below 2%. Draghi cautioned that the region is still not yet out of the woods. The outlook for wage growth and economic capacity is still uncertain. Unemployment and wage growth stand at 8.5% and 1.7% respectively although forecasts point to improvements in both as the economic recovery builds. There is no clear signal for a date when QE will end or interest rates rise. Peter Praet, the ECB’s chief economist, acknowledged that the bank will need to change their forward guidance on policy rates, suggesting policy will be further specified and calibrated as events unfold. On Thursday, the Bank of Japan reported an optimistic view on the regional economies of Japan. The BoJ Governor, Haruhiko Kuroda, is maintaining the central bank’s massive stimulus program (total assets on its balance sheet stand at ¥487trn or in Sterling £3.2trn). The Japanese economy has struggled to meet its inflation target despite improving economic growth. In other economies, economic growth has encouraged inflation. However, this has not been the case in Japan where poor demographics (ageing population) and a high rate of savings have acted to keep a lid on rising prices. In an adjacent report issued by the BoJ’s branch managers, the central bank upgraded its assessment for two of Japan’s nine regions. This maintained a positive view for six areas where tightening jobs markets are driving up wages and consumption. They reflect that this is not all good news,with some companies are suffering labour shortages having to pay higher wages without a pick-up in sales. Kuroda said he expected wage growth to accompany gains in consumer prices. However, inflation is “somewhat weak compared to the level of economic activity”. The nationwide core consumer price index, which excludes volatile food costs, rose 1% in February from a year earlier. In a similar manner to the ECB, Kuroda discussed the inevitable task of considering how to normalise policy. 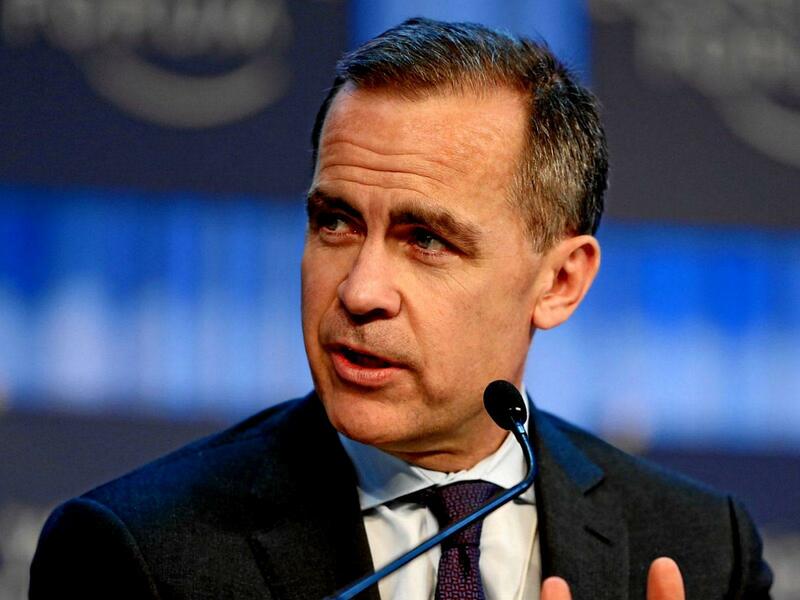 Governor of the Bank of England (BoE), Mark Carney, in his speech in Toronto this week addressed the impact of technology and how workers and the very social structure of the developed world needs to adapt. A rare change from the usual rhetoric of guidance on future monetary policy. Carney explained that productivity improvements tend to be beneficial for society and went on to say that it would require imaginative solutions by companies, governments and policy makers in terms of training and social change. This may require individuals to extend or return to education in later life. Technology over the last 20 years has revolutionised the way we work, consume and interact with one another. Arguably, it has also massively impacted efficiency. Carney referenced the automation taking place in the financial services industry. He pointed to many “unglamorous” data entry jobs having been transformed. Using examples from his own experience as an employee of an investment bank, three-quarters of what he did then is now done by a machine; he said there is a “relentless process of moving a series of decisions that are made by humans to machines”. Likewise, Lloyd Blankfein, CEO of Wall Street giant Goldman Sachs, recently likened Goldmans to a tech company, (they have 9000 programmers and engineers – approximately twice that of Facebook and more than Twitter and Linked-in combined). Aside from being an interesting fact, it underlines how much technology and “the internet of things” has pervaded almost every company, altered the character of the global economy and is becoming a key consideration in the minds of central bankers as they formulate monetary policy in a world that is very different now to when most of their economic text books were written thirty years ago.